All steel radial tire for highway service. Designed for low platform trailer (low loader). Provides high resistance to irregular wear and heat. 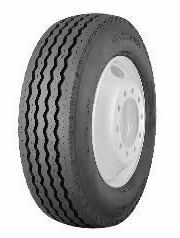 Provides long tread life and proper contact pressure as wide tread.